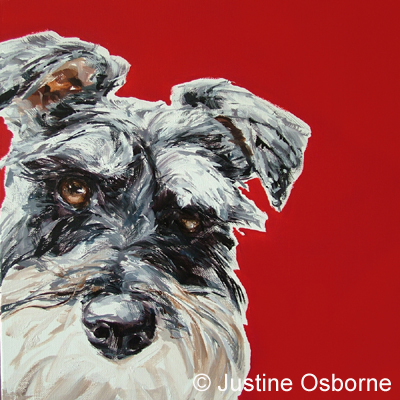 the shop features her dog art prints of favourite dogs painted for you to buy. 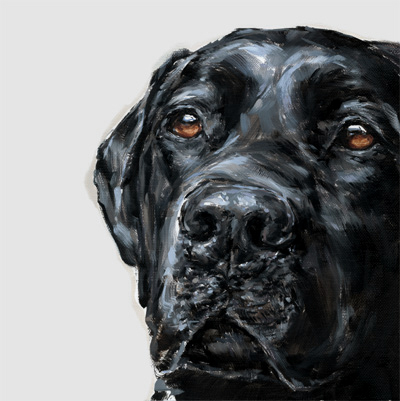 These portraits are not just breed studies they are real portraits of much loved dogs, showing the beauty of the breed, but also the individuality of each dog. Limited Edition Prints are professionally printed on Fine Art Paper using Giclee Printing, ready to be framed and mounted . 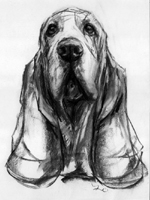 Prints are sent unmounted and rolled for safety during delivery. Prints are signed and numbered by the artist, and come with a Certificate of Authenticity. 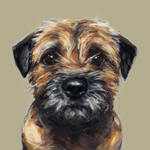 Shown is a small selection of the dog breeds prints available, but most are available to buy, please contact PaintMyDog for more details on your favourite dog breed. 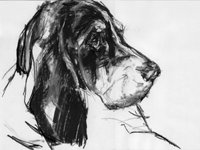 The following oil paintings and sketches of dogs are available to buy online directly from the artist. 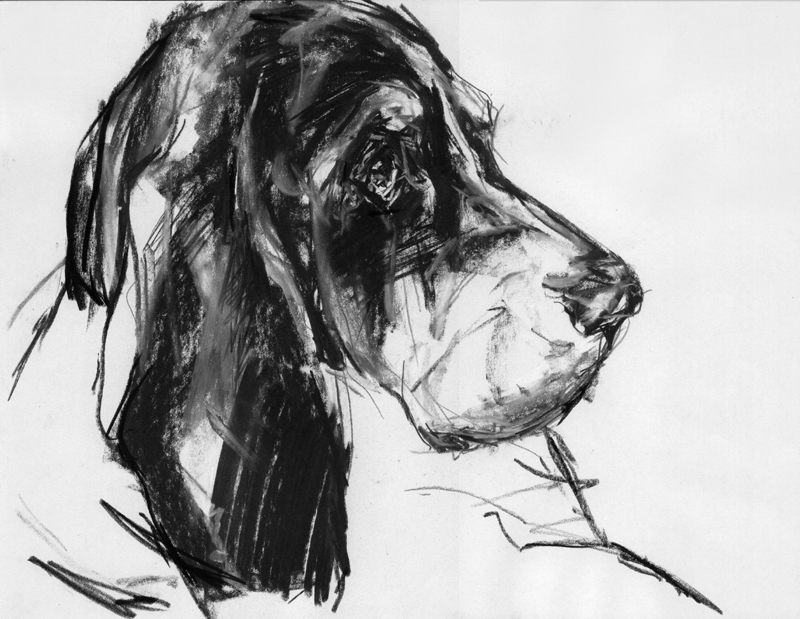 These sketches are from my private collection, deeply personal as they show my inner workings, and are the first steps into a painting, loose marks as I explore the subject! Charcoal on paper £125 inc p&p. 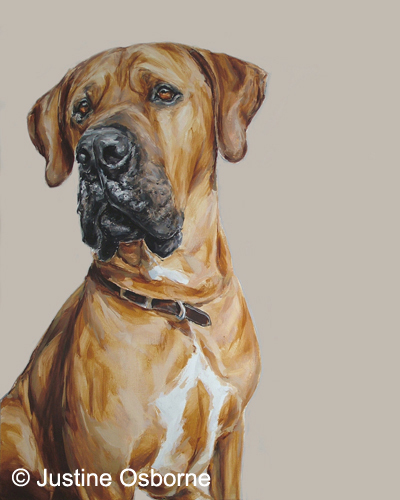 The following oil paintings of dogs are available to buy online directly from the artist. 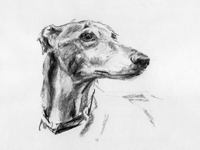 If you want to give a dog lover an unusual and interesting gift or present why not commission a portrait of their pet - just supply a photograph! 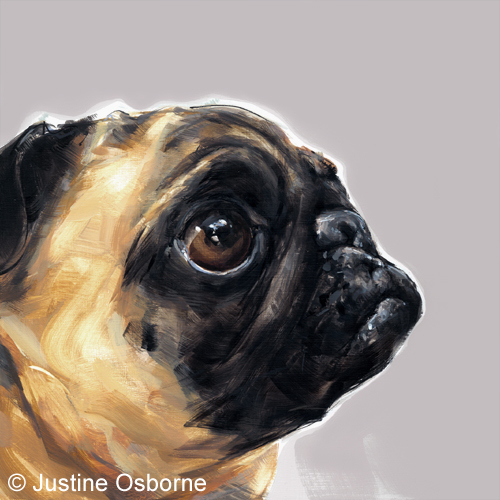 Justine's PaintMyDog is an established website that modern pet owners can trust to find artwork to suit their lifestyle, and pay tribute to that very special four legged canine friend.